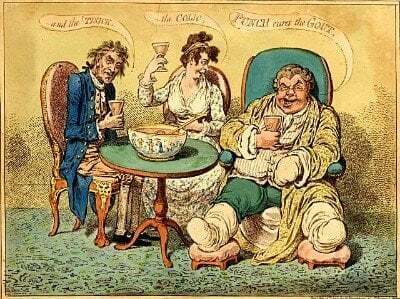 Two things have prompted me to write about gout & angina today. Bob mentioned hyperuricemia risks in his recent post about natural ways to lower uric acid. Now, we have an investigation into hyperuricemia risks associated with angina. Hyperuricemia, the medical term for high uric acid, is usually related with gout. However, in recent years, there is increasing evidence to suggest that high uric acid is associated with other health risks. Over time, as relationships become clearer, I will summarize these in my Gout & Disease guidelines. Angina is a specific form of heart disease marked by sudden spasms of chest pain due to reduced oxygen to the heart. Here I present a layman’s review of the abstract of an investigation into uric acid and angina. Nishino M, Mori N, Yoshimura T, Nakamura D, Lee Y, Taniike M, Makino N, Kato H, Egami Y, Shutta R, Tanouchi J, Yamada Y. Though this is my layman’s review, I cannot avoid some medical terms. The report introduces coronary spasm as coronary vasospastic angina (VSA). It is also known as Coronary Artery Vasospasm. In layman’s terms, I will refer to this as angina, leaving aside the complications of different forms of angina. Angina is not a disease in itself, but a symptom of heart problems, and so I have labeled it with heart disease. Note that this investigation is not about gout, though high uric acid is usually associated with gout. Endothelial dysfunction is the condition where the inner lining of the blood vessel does not function properly. Lipoprotein(a) is a specific type of cholesterol. This investigation is triggered by other research. Some studies show that a major cause of angina is problems with the inner lining of the coronary artery (endothelial dysfunction). Some studies show that uric acid in the blood and lipoprotein(a) are linked with endothelial dysfunction. This investigation examined whether uric acid and lipoprotein(a), are linked with angina. Various blood test results were compared between the two groups. Uric acid, hs-CRP, and lipoprotein(a) were significantly higher in the angina group than in the chest pain group while there were no significant differences in the other parameters. Statistical analyses identified uric acid and lipoprotein(a) as significant independent markers for angina. Uric acid and lipoprotein(a) are linked with angina, and medical intervention to decrease uric acid and lipoprotein(a) might be effective in controlling angina. At the moment, researchers are finding statistical links between the incidence of various diseases and high uric acid. As yet, these links are unexplained. Specific professional guidelines do not currently recommend treating high uric acid without symptoms (asymptomatic hyperuricemia). If you have gout, you will also have high uric acid, unless you are controlling it with appropriate gout medications such as allopurinol or Uloric (febuxostat). Here we have seen that angina might be caused by a combination of high uric acid and high lipoprotein(a). The authors suggest that lowering these factors might be effective in controlling angina. It is all a little too vague to be used as the basis of a specific guideline, but too important to be ignored. If your blood tests reveal high uric acid and high lipoprotein(a), you should consult your doctor about the best way to manage your risks of angina. If you are not sure how to proceed, or if you do not understand your doctor’s responses, please ask in the gout support forum. Leave Gout & Angina Risks to browse other Gout & Disease guidelines.